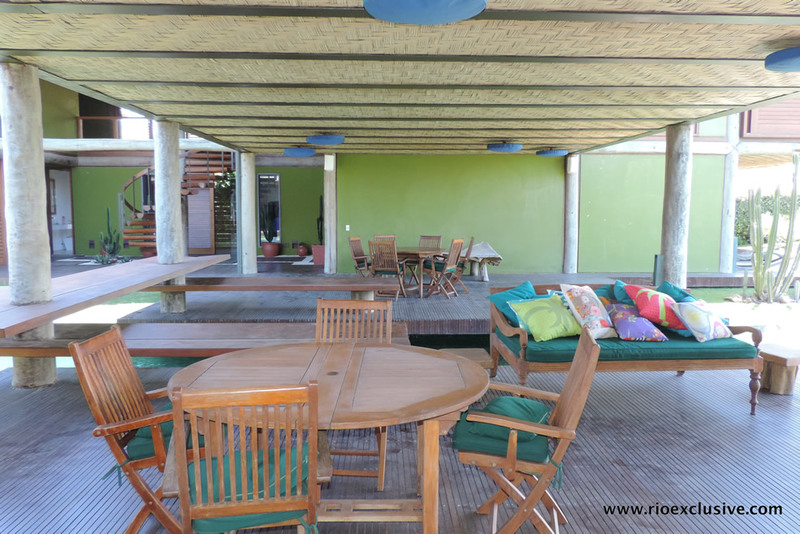 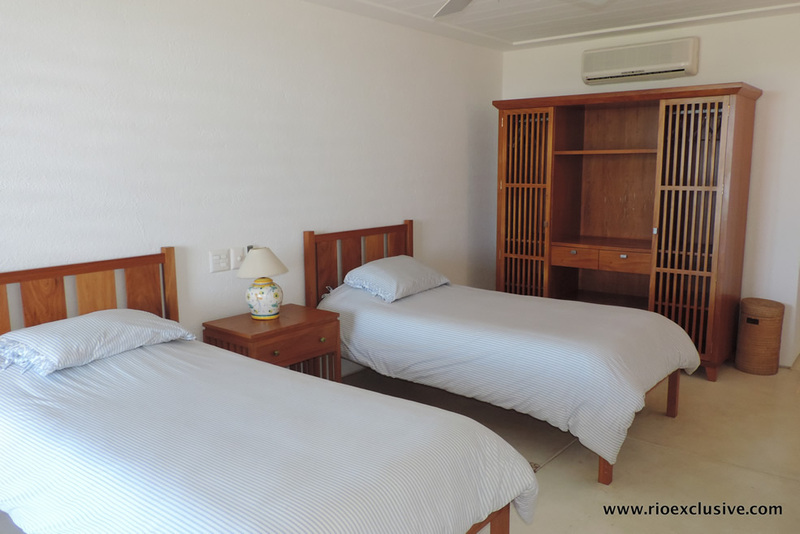 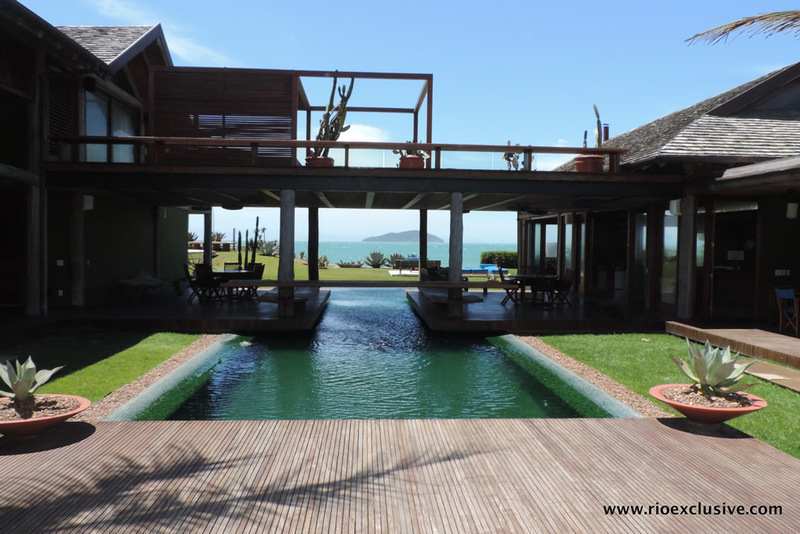 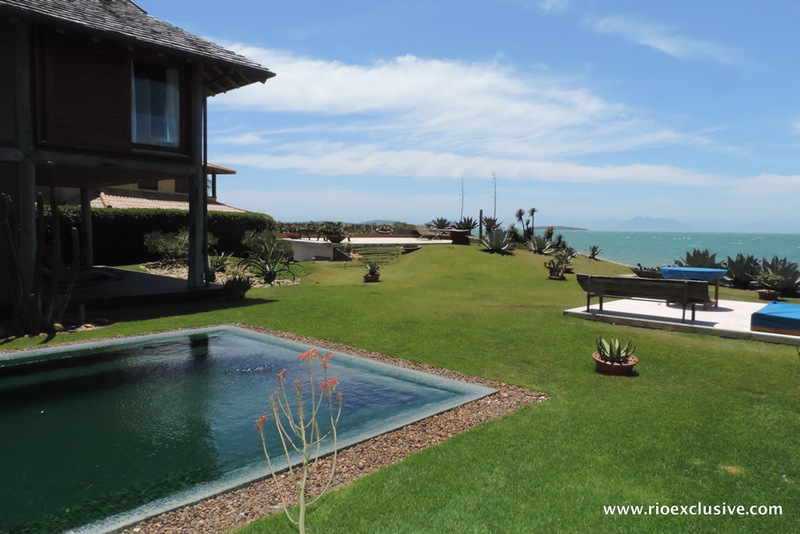 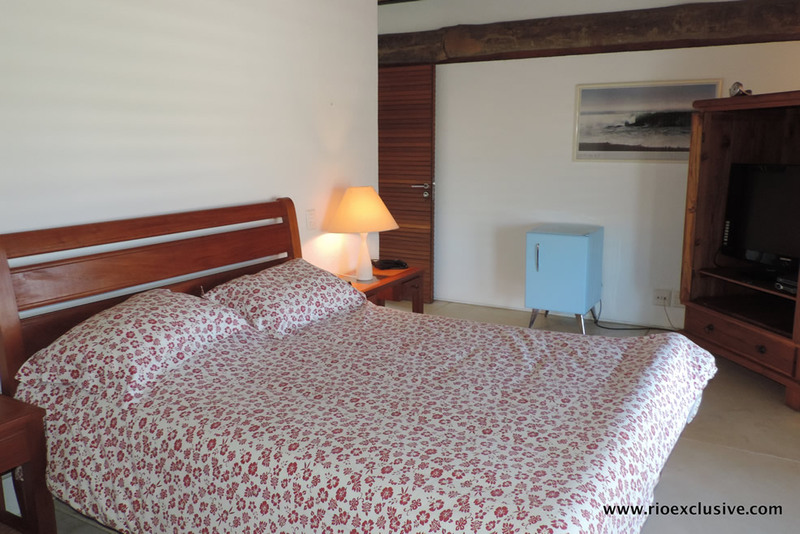 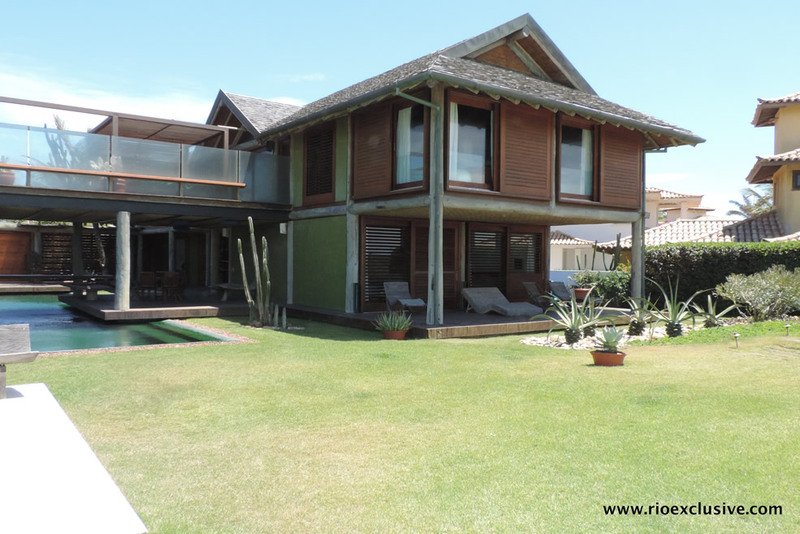 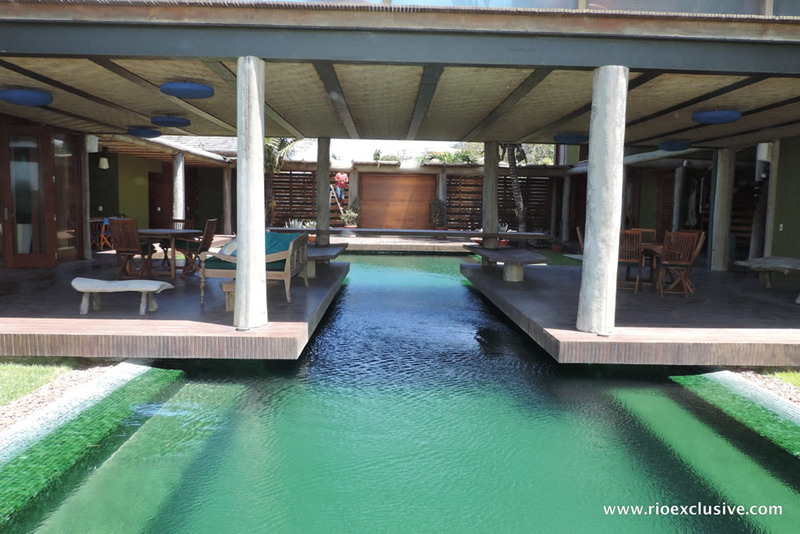 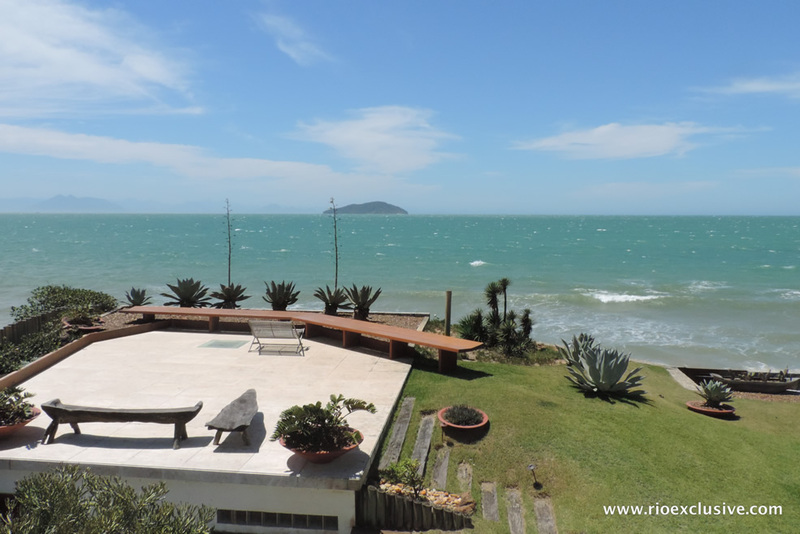 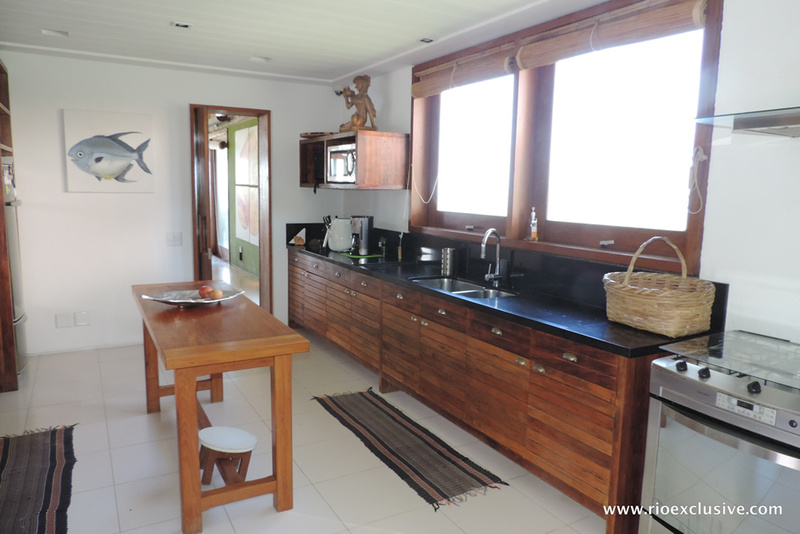 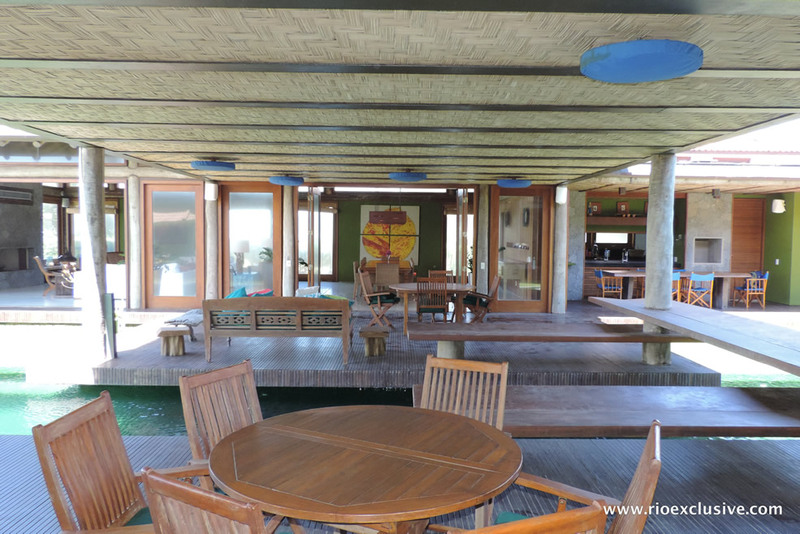 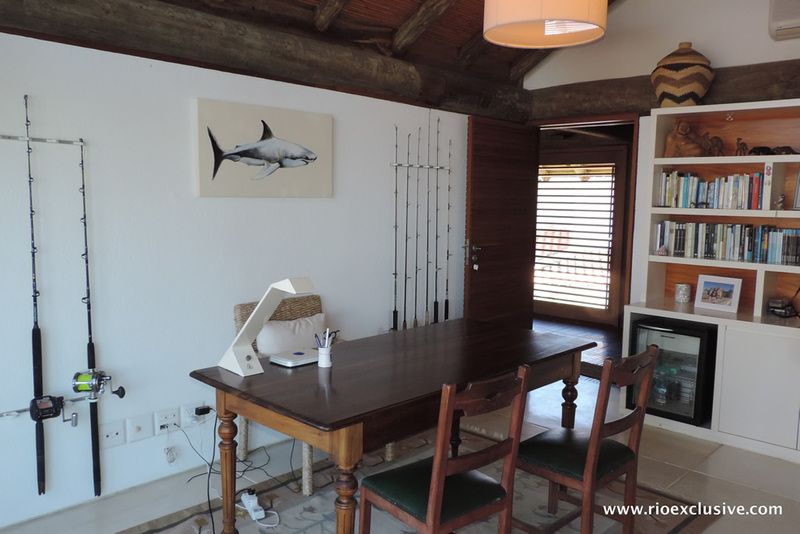 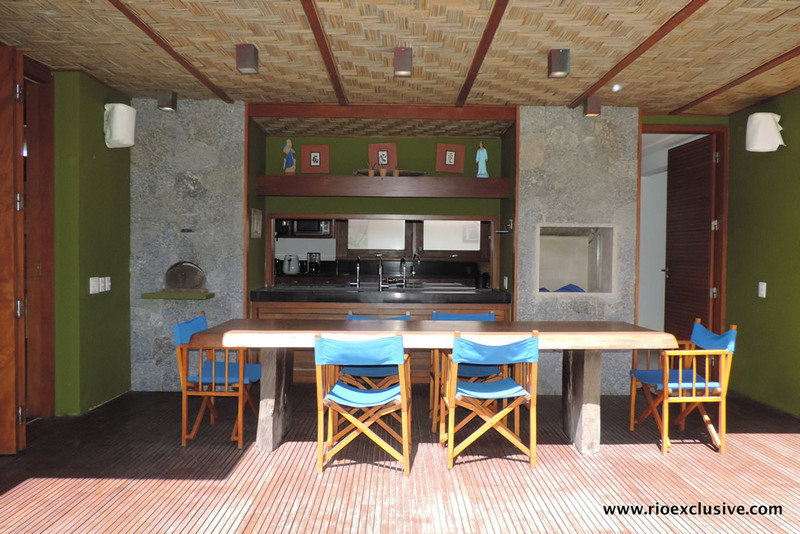 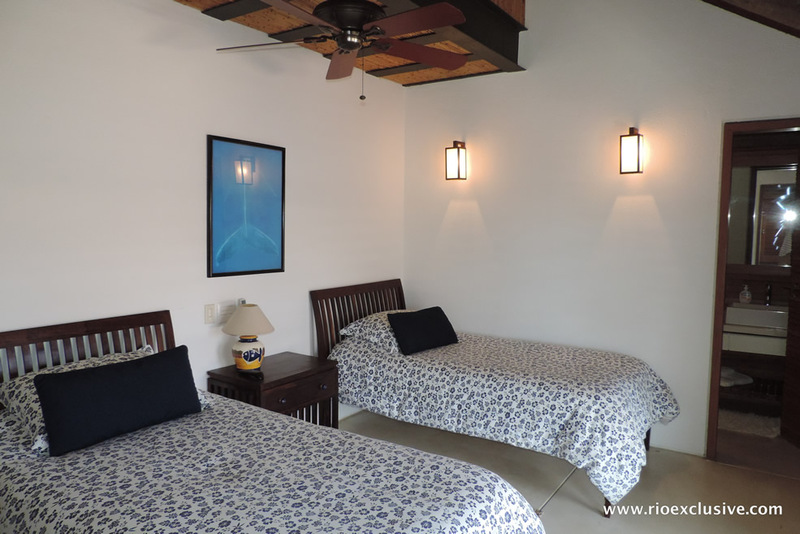 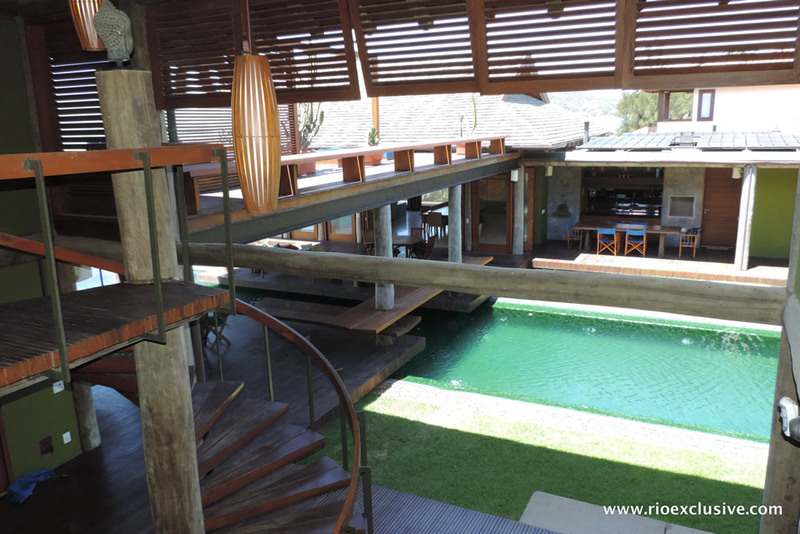 This luxury villa is one of the newest to our collection of Buzios properties, and is the ideal rental home for larger groups, or those simply wanting space and privacy. 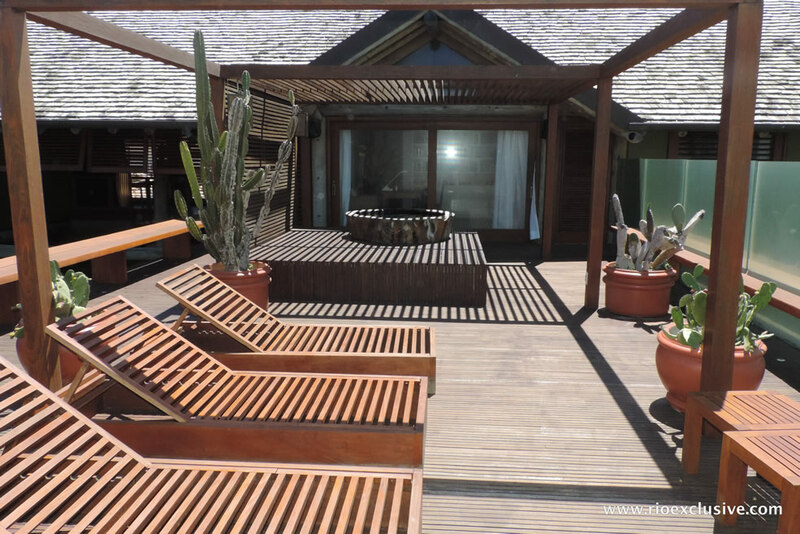 This luxury villa is one of the newest to our collection of Buzios properties, and is the ideal rental home for larger groups, or those simply wanting space and privacy. 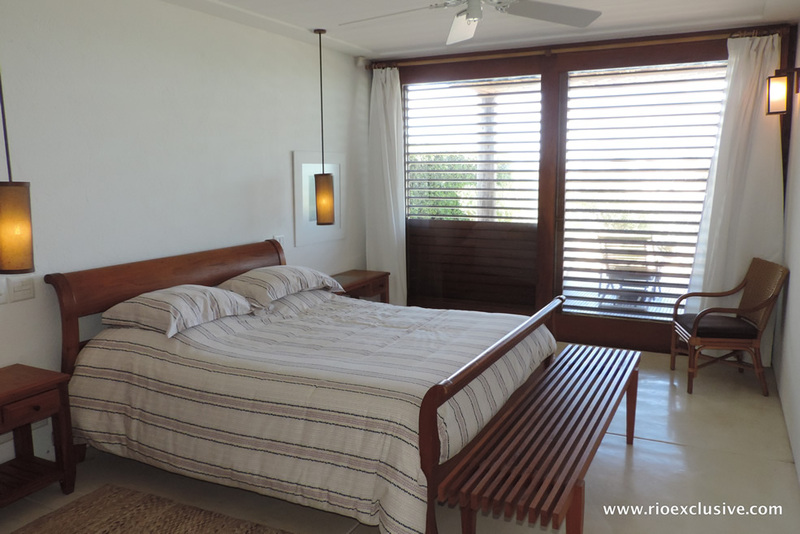 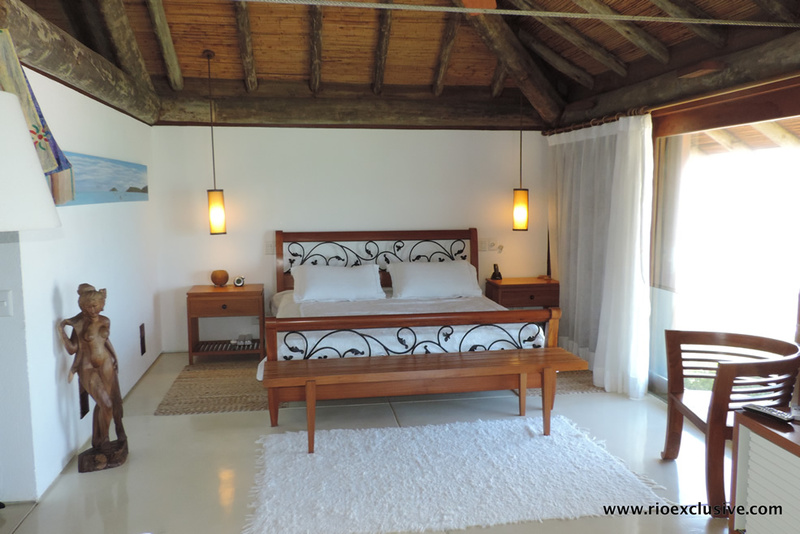 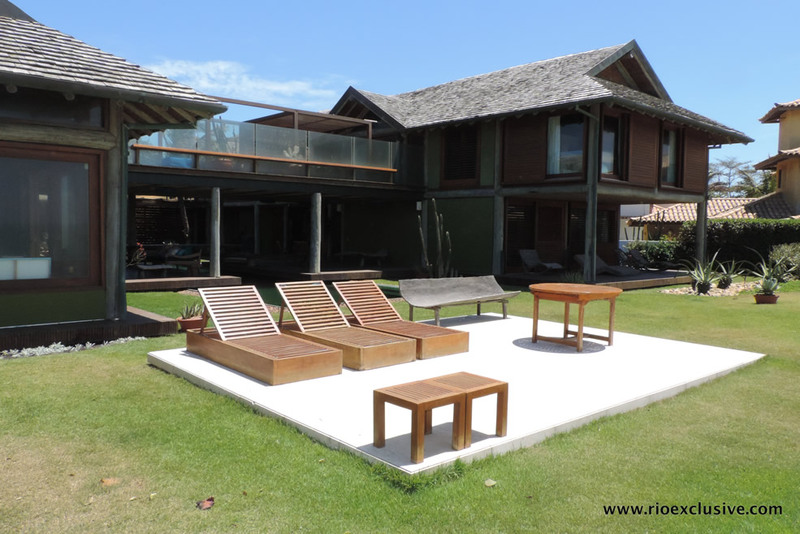 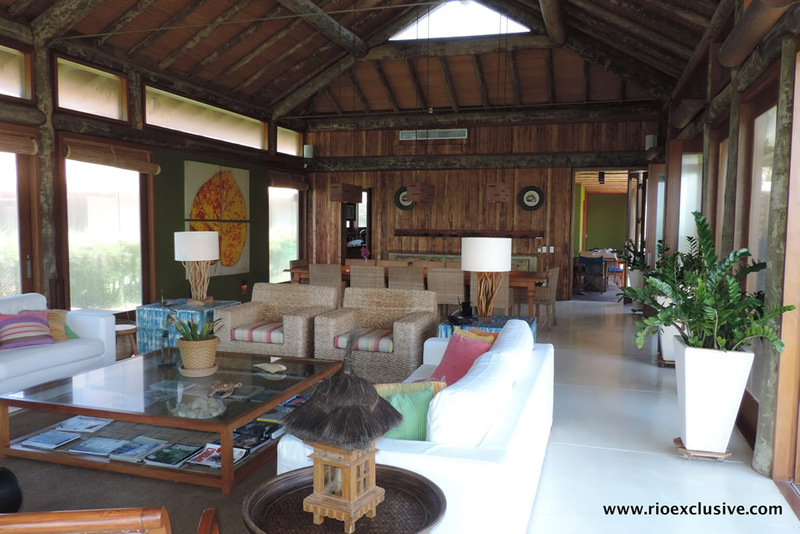 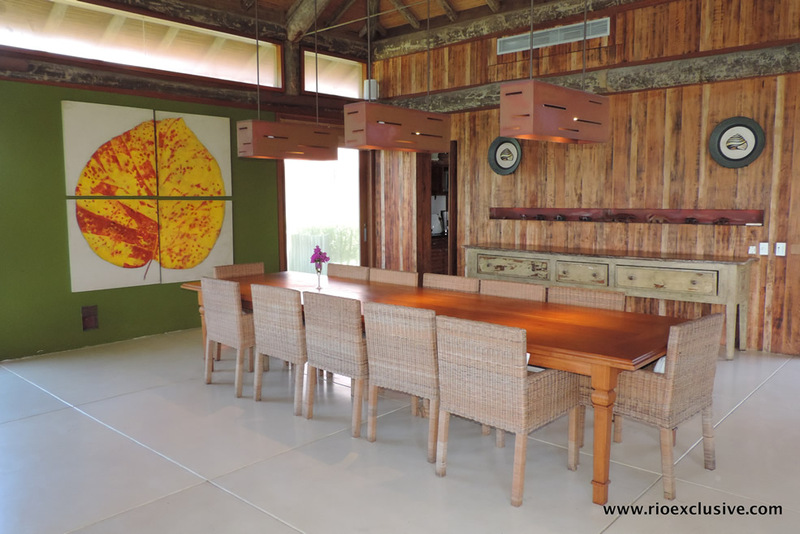 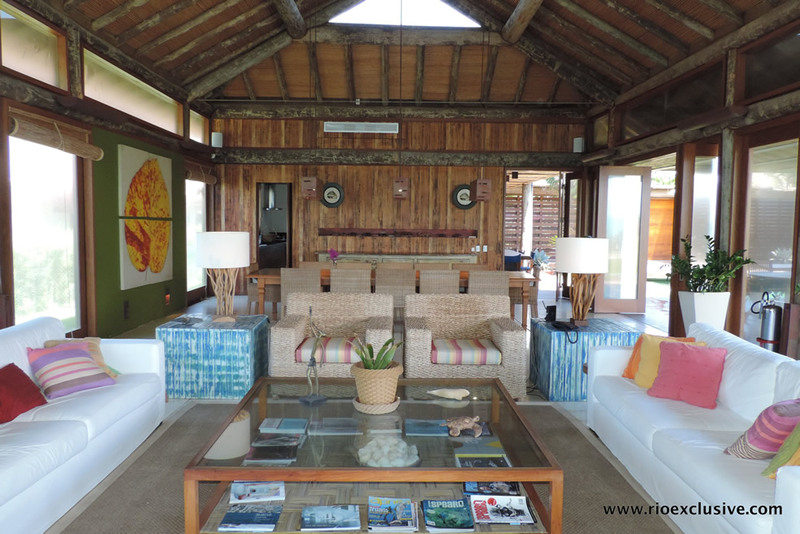 The villa has been designed with openness and light in mind, as you can feel the Buzios sun and breeze from everywhere in this beautiful property. 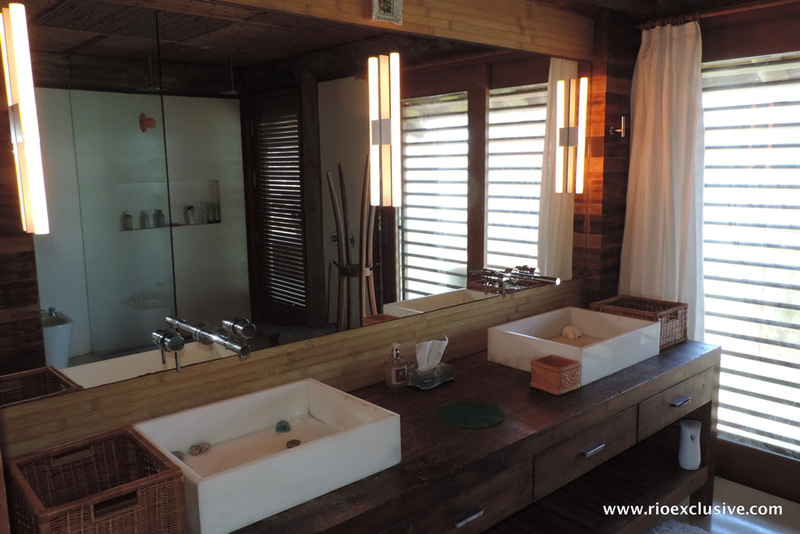 The contrast between the white tiled floor and the dark wood used throughout makes you feel, the moment you walk in, that you're in a tropical paradise. 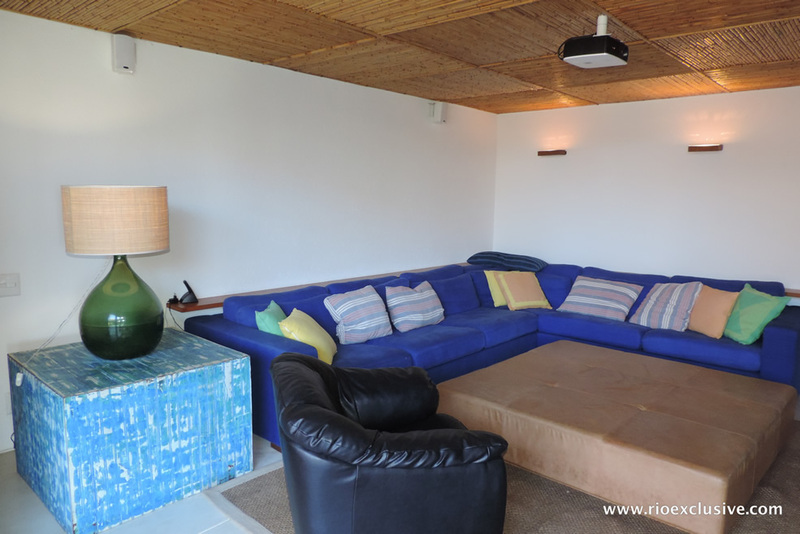 The large vaulted ceilings in the main living areas give you the grand and striking space you want in a luxury villa, and the furniture and finishings which adorn this living space is perfectly suited for the tropical lifestyle, with its light shades accented by splashes of bright colour. 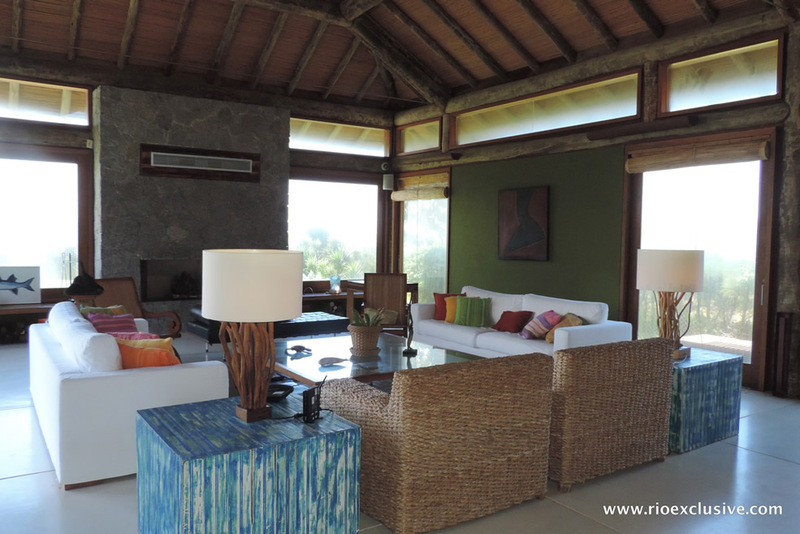 There are 5 suites in total, 4 of which boast incredible views out over the property grounds and the Atlantic ocean. 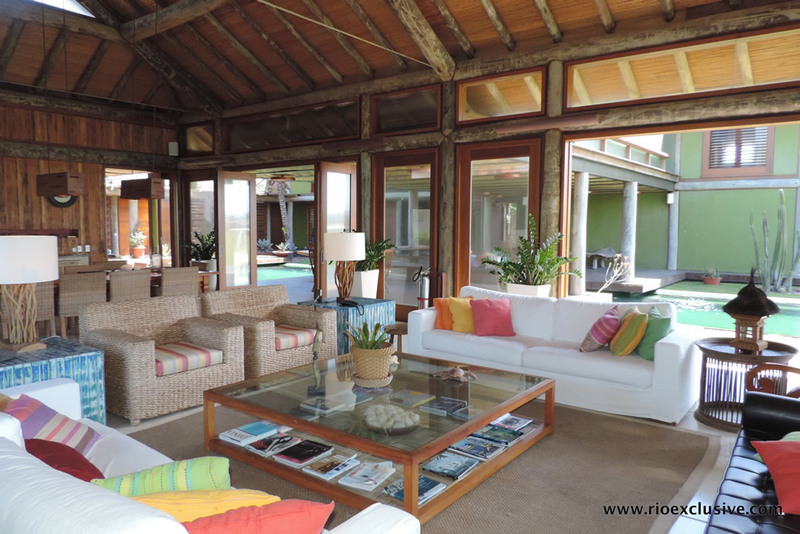 The outdoor living space is simply magnificent, as you have a beautiful large pool, as well as sunning decks located almost right beside the ocean, an outdoor wet bar, sauna, and a barbeque area featuring pizza oven, all situated on very large private grounds, which gives you all the space and privacy you will need. 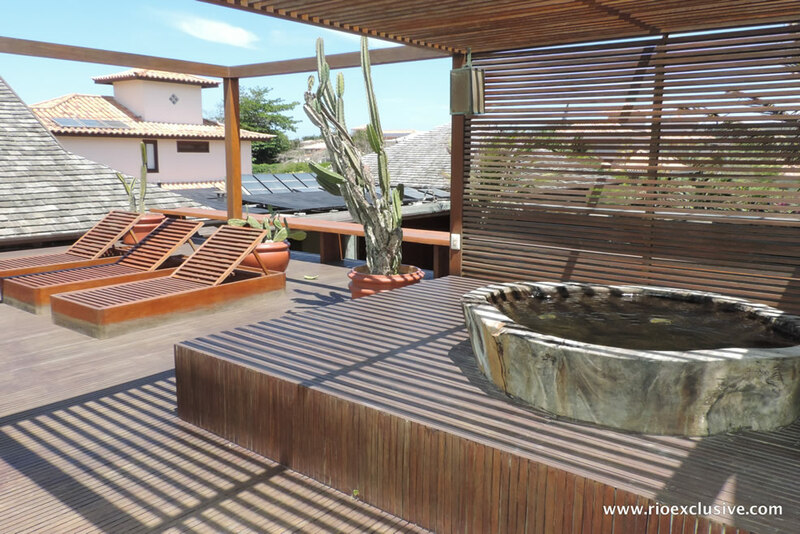 There is even a separate rooftop terrace, which features a "natural" hot tub made out of the base of a Brazilian tree. 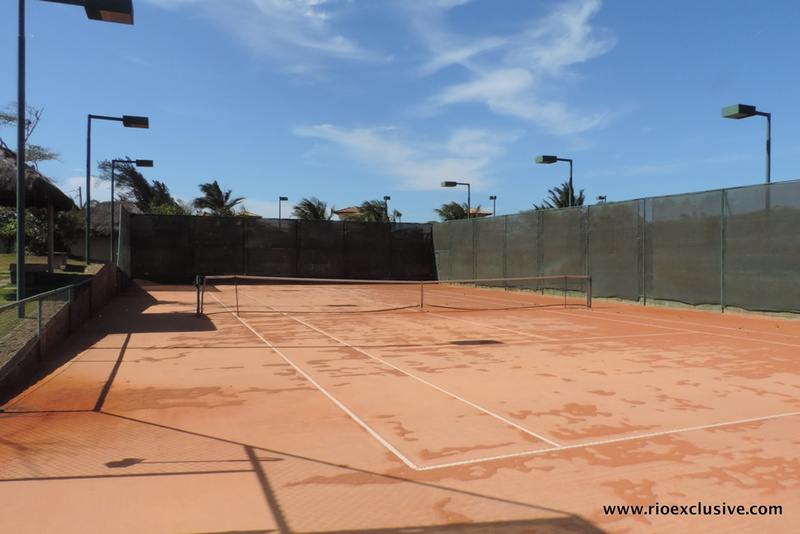 The villa and its grounds are all located within a condominium community, with gated entry, and there is even tennis courts for your use. 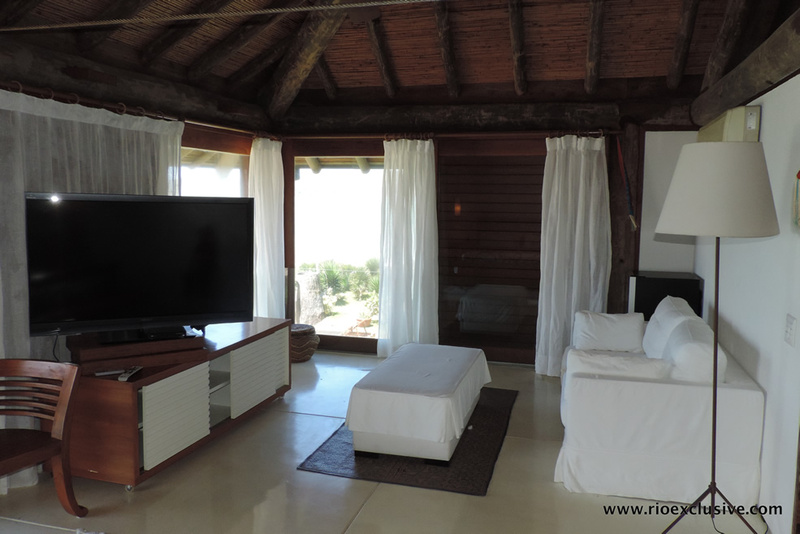 As with all our properties, your stay comes with our 24 hour support and concierge service as well.